A funeral mass is scheduled for 10 a.m. Thursday, May 4, at Our Lady of Grace Catholic Church for Proto Leyva Jr. of Artesia. Leyva, 79, passed away Sunday, April 30, 2017, at his home. Interment will follow the services at Woodbine Cemetery. Pallbearers will be his grandsons and nephews Kyle Leyva, Ryan Zapata, Josh Valenzuela, Noel Rodriguez, Rodney Rodriguez and Matthew Sedillo. Honorary pallbearers are his grandchildren and great-grandchildren. A vigil service will be cited at 9:30 a.m. Thursday at Our Lady of Grace. Visitation will be held from 1-7 p.m. Wednesday at Terpening & Son Mortuary. Proto was born Jan. 27, 1938, in Alpine, Texas, to Proto and Manuela (Levario) Leyva. 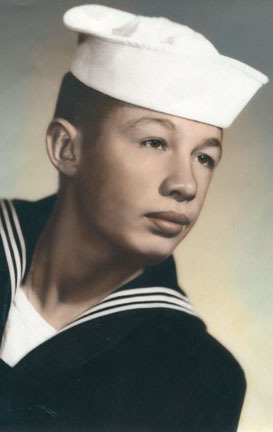 He served his country in the U.S. Navy and, after his service, was a longtime Artesia resident. On Jan. 13, 1962, he married Cecilia Orosco in Artesia. Proto was an operator at Navajo Refining Co. for 15 years. He was a member of Our Lady of Grace Catholic Church and enjoyed volunteering with the Boy Scouts and their Pine Wood Derby. He loved all sports and played men’s softball and basketball until he became disabled. He also enjoyed coaching girls’ softball. Survivors include his wife, Cecilia, of the family home; children Deannie Hernandez and husband Art, and Kathy Valenzuela and husband Javier, both of Artesia, Robert Leyva and wife Esperanza of Albuquerque, and Annalisa Zapata and husband Jerry of Odessa, Texas; sister Marie Gomez of Artesia; 10 grandchildren; and eight great-grandchildren.